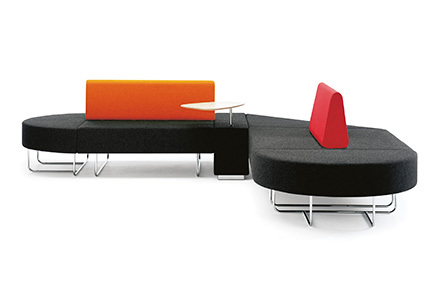 Boundary is a stylish, modular seating solution for dynamic, active workplaces and public areas. 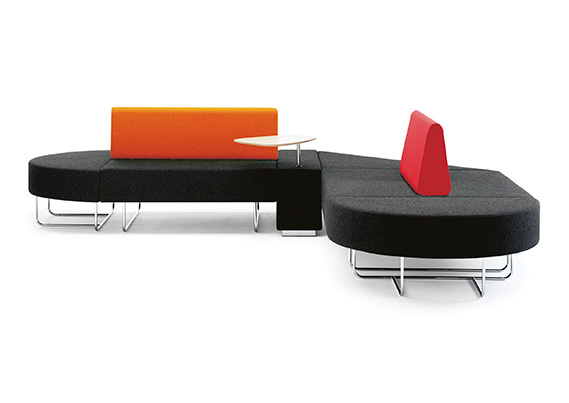 With a number of different configurations, this seating collection can be arranged to suit specific needs. The features of the chair can be chosen to match people's tastes or particular office decor - table tops are available in white, grey, cherry, maple, oak or walnut. There is also the option to have chrome tubular legs or polished landscape legs. The sleek, simplistic design of Boundary allows it to fit well in any environment. With a wide range of fabric options, patterns and colour combinations to choose from, Boundary can easily be incorporated into your existing decor or introduced as a stand out piece in a more traditional office setting. 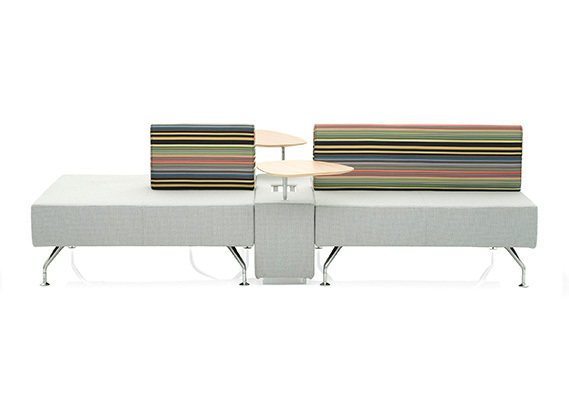 Boundary not only offers an aesthetic seating solution, it can also become a work station with its moveable table tops, electricity and data points. 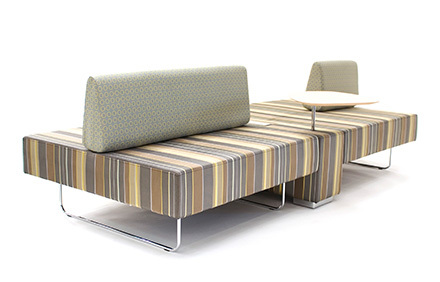 By having Boundary in either a workplace or public space, users can take advantage of this quick seating solution whilst working portably. 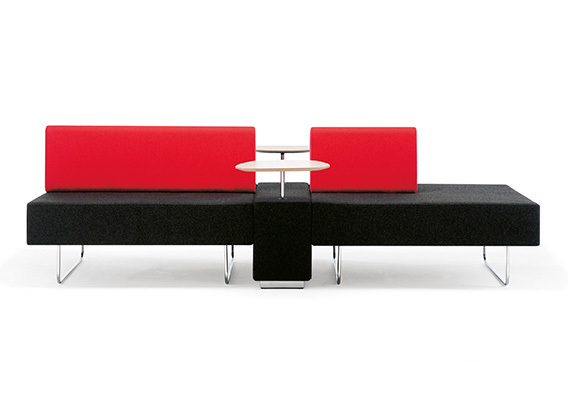 Perfect for waiting areas, receptions and breakout seating, Boundary can be configured to suit the specific needs of the user or the amount of space available. 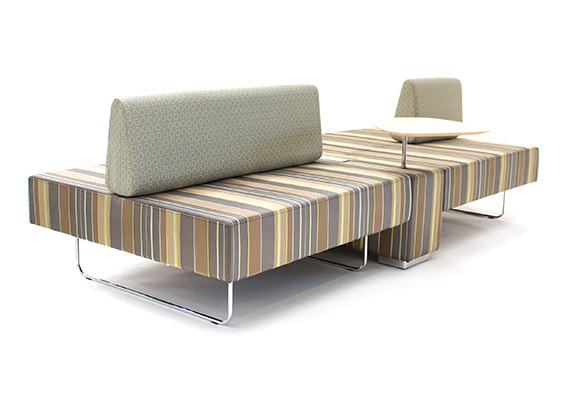 By having the option of a single rectangular seat, an angled unit or even a circular arrangement Boundary can be configured uniquely to suit its surroundings.